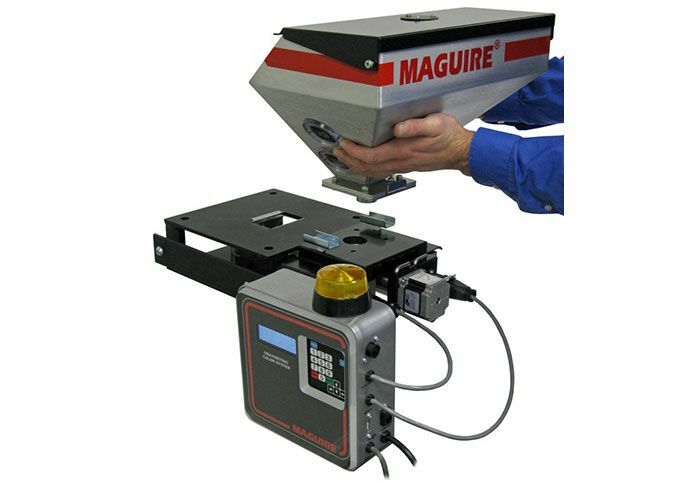 Maguire auger feeders are rugged devices designed to accurately measure precise quantities of masterbatch or additive into the main flow of natural material as it enters the throat of the process machine. 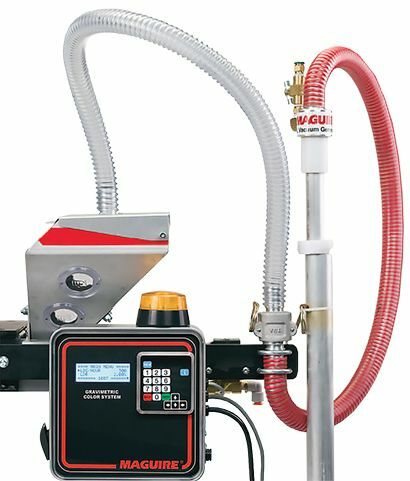 A reliable, lower cost rugged gravimetric doser. Self-calibrating and extremely accurate. Dosing rate up to 18kg/hr injection and 55kg/hr extrusion. 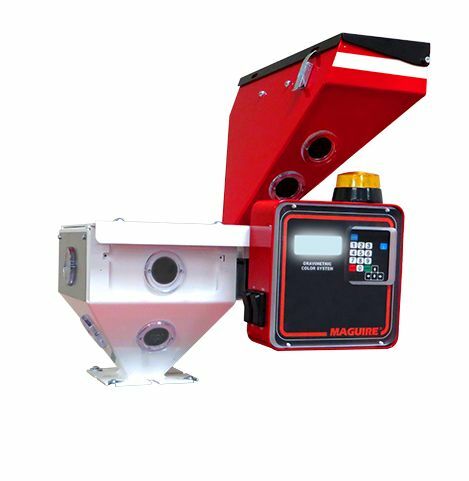 We offer volumetric and gravimetric feeders at very competitive prices. Designed by Steve Maguire, the Gravimetric Guru! The only instant auto self-calibrating unit. 100% injection dosing, not just during screw back. Integrated hopper loader control option. Proven reliability with 5 year warranty.